The construction of a 4.7km gravity trunk sewer main consisting of trenching and micro-tunnelling methods. The WGTSM project is the construction of a 4.7km gravity trunk sewer main consisting of trenching and micro-tunnelling methods. The project location is Brookwater to Goodna, approximately 25km Southwest of Brisbane CBD. Half the project zone is in a residential setting and half green-field. Thiess was engaged as project surveyors from the early stages of design, right through construction. In the early design phase, site engineers and project managers were finding it hard to relate the new design changes to real world locations. Because many of the new manhole positions involved green-field locations, it was hard to relate this to the ground. Often they would require survey to travel to site and set out the new design locations even though they did not require survey accuracy for the purpose of walk through assessments. This was not cost effective, so a solution was sought. It is said the best ideas are often the simplest. As intermediate users of 12d Model, Thiess didn’t want to ‘reinvent the wheel’, so they combined existing options. While not needing complex 12d functionality, they were still able to use 12d in an innovative way to solve the problem. They simply output their 12d design data to a .kml format so the data can be viewed within Google Earth on smart phones on site using the phones’ location capabilities. This allows engineers and designers to view design options on the ground without the need for survey to pinpoint locations for them. To streamline the process, they made a toolbar that runs a .slf of a Helmert 2d Transformation that moves the data from the site coordinate system to MGA94 and then another .slf that outputs to kml. Hence, with 2 clicks they have a file ready to be viewed in Google Earth which can then be email off to selected recipients. This can be achieved form their survey office without the need for any field visits. When a design change occurs, they can have the new design in the site personnel’s pockets within minutes and opened in Google Earth. The use of a 12d screen layout file makes this a much faster process with and also eliminates the chance of gross errors or typos. By using the location features on their phones (GPS and phone network location), they can ‘walk’ through the site and see the new design planning and moving on their screen. The only limitations here are the accuracies of each phone’s location capabilities, but checks have found they were usually within 2.0m. This is more than enough to allow the site personnel to see if the design is viable and will ‘work’ in the field. There are mobile .dwg viewers on the market, but these don’t allow the user to relate it to the ground, so that is why this 12d to .kml option is vastly superior. Smart phones (or even Android/Apple tablets) are becoming common as an everyday business tool. They will be implementing this 12d to kml viewing on all our construction sites in the future. This process has only been used to date on Android system smart phones running the Google Earth application and an additional app called KMLZ to Earth which allows KML files to be viewed in mobile Google Earth. 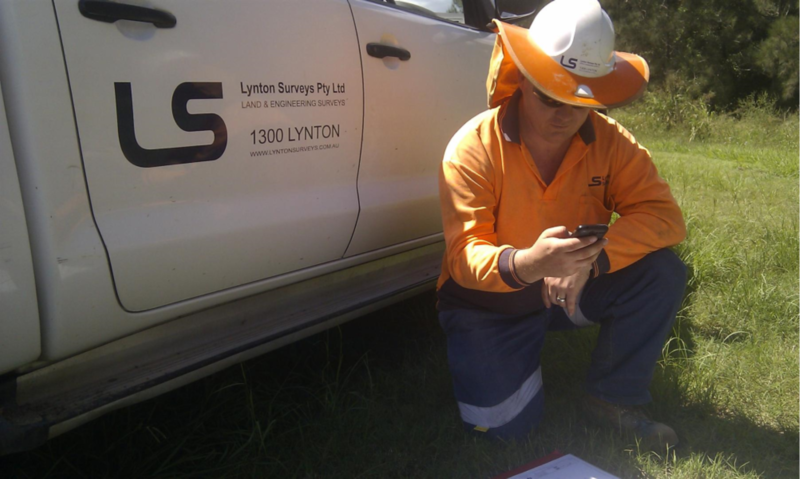 The iPhone is fully compatible but has not been used by Thiess. Both apps are available free from the Marketplace.